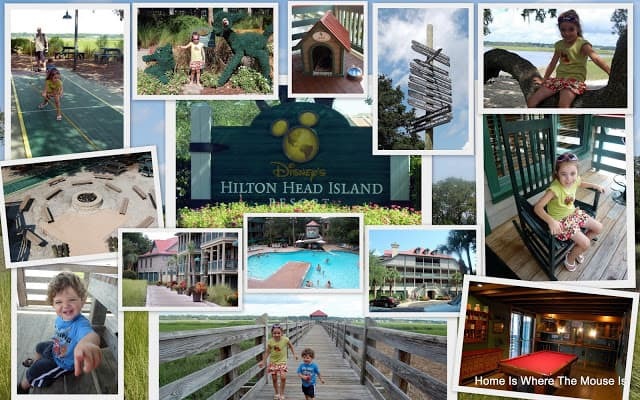 On our way home from our last trip to WDW, we stopped off at Disney’s Hilton Head Resort. We were there just a few short hours, but we certainly got a sense of how relaxing a stay there would be! This is fantastic!! I've never seen pictures of this place before, LOVE the collage you put together! Thanks! I wasn't sure what to expect, but I was impressed and found all the CMs to be incredibly friendly. As soon as we left we were talking about planning to use our points there… and this next trip we will be checking out the other beach resort in Vero. We were only there a short time, but we certainly got that sense. So laid back compared to staying at the Parks. Yet they do seem to have a lot to do, so it won't get boring for the kids. I've always wanted to stay there. It looks like so much fun. Our quick visit has definitely inspired us to stay there someday. Thank you! We need to plan ours as well. It helps that it's kind of "on the way home" from WDW for us. It makes it a perfect place to unwind after hitting the Parks and before returning home. Great photos- I hope to make it there one day! Thanks! We hope to get back there! We've never been to HH and we are dying to go!!! Your pictures make me want to plan a trip there asap! Thanks! Until I saw it in person I wasn't convinced it was for me. But now I'd recommend it to anyone! Beautiful collage of a great looking resort. Your pictures certainly make for a great advertisement for a relaxing time at this resort. I've always wanted to explore this part of the country. Thanks! And can you believe all that is just from our little walk around the place. We didn't even stay there yet!!! Great pictures! Your collage looks like a postcard for HH. It looks so relaxing! I really need to add it to my ever growing resort bucket list. 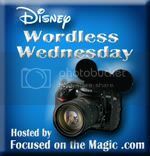 Thanks so much for sharing and for joining in the DWW Blog Hop fun! Thanks! Isn't funny how those bucket lists just keep getting longer and longer! Technically HHI is still on ours, but we hope to cross it off in the near future. What a fun change of pace this week! Thanks for sharing these! I've never been to South Carolina but I would like to check out Disney's Hilton Head when I get a do!! I hope you get the chance! Would love to stay there coming or going from WDW!